This wasn’t a random flash of inspiration — O’Sullivan had local produce on the mind. He was fresh from a teaching stint in Vancouver, where he’d worked on an urban agriculture project. Returning home to the Netherlands, he wasn’t too impressed by what he found. “These ideas — of cities growing their own produce — are big in Canada and the States, but they’re just starting to germinate here,” O’Sullivan says. The Netherlands is the most densely populated country in Europe; acreage comes at a premium, especially in the capital city. 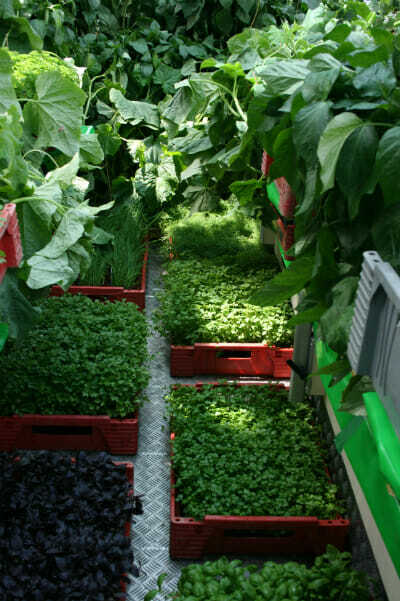 Amsterdam has made strides towards urban farming, but suitable growing space is limited. On board the Boatanic test run in Utrecht. O’Sullivan, a designer by trade, sees the city’s canals as an untapped resource. Open and (relatively) uncongested, these waterways could serve as de facto farmland — provided you’ve got the right equipment. That’s where the old tourist boats come in. With minimal conversion, these clunky old workhorses can be repurposed into floating greenhouses. 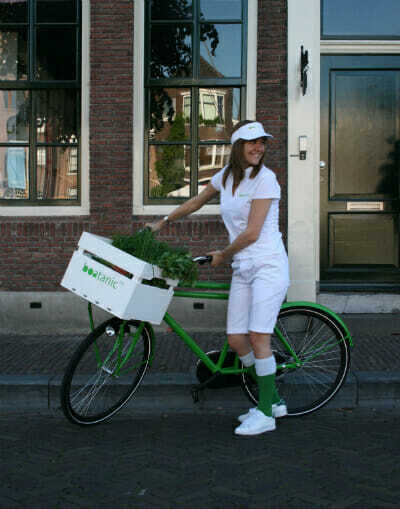 Not only could they grow produce locally — they could also deliver it. O’Sullivan says that trucking fresh produce into Amsterdam can be a challenge. The narrow roadways suffer from perpetual congestion; one accident can clog traffic for many hours. But with his fleet of retooled tourist boats, road traffic would be completely bypassed. O’Sullivan imagines direct delivery to the city’s restaurants, many of which are connected to the canal system. And for those parts of Amsterdam not connected to the canals? O’Sullivan’s got it all worked out — a fleet of bicycles will deliver to the city’s outer reaches. O’Sullivan isn’t the first guy to see potential in Amsterdam’s canals. The delivery service DHL recently started delivering by boat, and local bars have been receiving boat-based liquor shipments. Still, O’Sullivan says his agricultural project is unparalleled anywhere in the world. 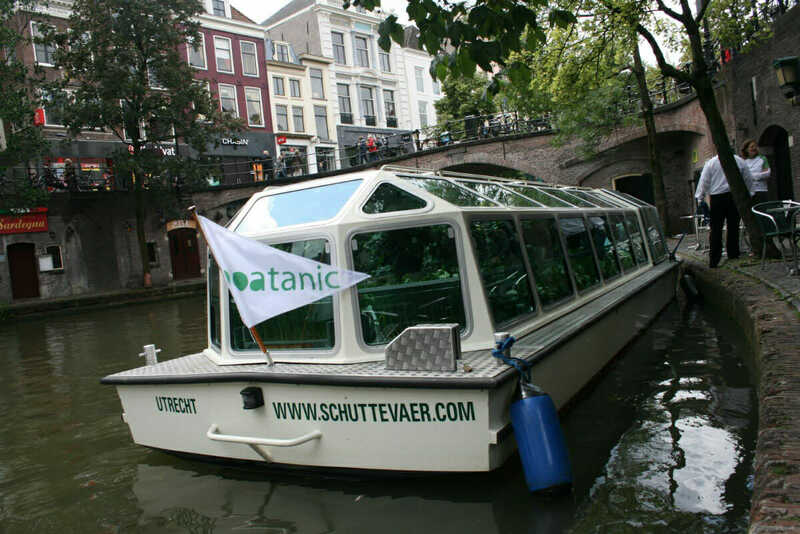 The project’s name is Boatanic, a play on boat, botanic, and the Titanic — a reference to the global eco-crisis O’Sullivan sees on the horizon. It’s still in its planning phase, but when completed he foresees a combination of CSA, dockside sales, and wholesale deliveries. Before that happens, Sullivan would like to conduct a feasibility study. He wants to nail down all the little details, everything from delivery logistics to the ideal crops. “The temperature is somewhat cooler out on the water. We need to see how that affects what we grow,” he says. He also has grand ideas about some of the greenhouses’ innovations — rainwater collection and canal water filtration, wind power and biodiesel power, et cetera — but it’s all speculative at this point. There’s also a line of nautical-themed Boatanic clothes in the works. 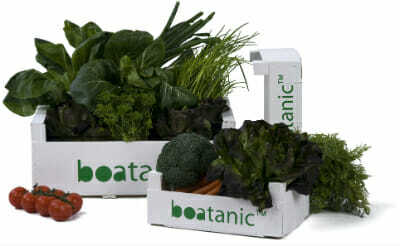 Boatanic could serve as a mobile educational opportunity, docking near local schools and giving greenhouse tours. O’Sullivan imagines this would appeal to teachers, sparing them long field trips to rural farms. Boatanic: floating soon to a canal near you.